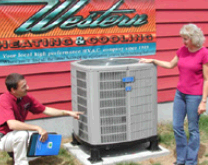 Western Heating & Cooling is a certified heating & cooling organization. Since 1991, we’ve been delivering heating and cooling installation and service to residential, commercial and brand-new construction shoppers throughout the Portland Metropolitan and Columbia County regions. Western Heating delivers exceptional heating and cooling products, and services on all makes and models at affordable costs. 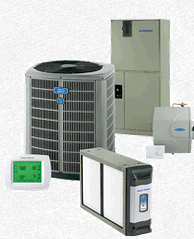 We’ll aid you choose the proper furnace, air conditioner, heat pump, or ductless mini split for your house. 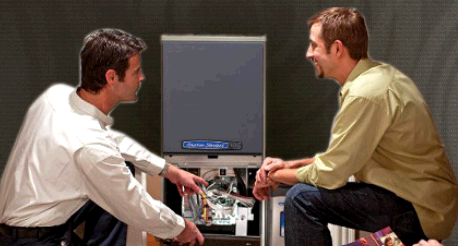 Our great technicians are licensed to service all brands of furnaces, air conditioners, and heat pumps. We aid both contractors and house owners with ecological controls to satisfy their heating, air conditioning and indoor air standard demands. We provide competitive pricing together with old-fashioned craftsmanship and standard customer service.Call us today! Contact our Comfort Specialists for a FREE Home Comfort Survey or a FREE in home estimate and see what you can start saving now. Western Heating & Cooling services all brands of gas or electric furnaces, heat pumps or air conditioning units, except oil and boiler systems. Our experienced and certified technicians know how to diagnose and repair all types of problems and our trucks are equipped with parts for most situations.If your equipment is at the age or in a condition that replacement may be to your advantage, our technician will work with our Comfort Consultants to give you all the information you need to make a good decision. Annual preventative maintenance is a key factor in extending the life of your heating, cooling and/or filtration system. If your system has a few years on it, proper maintenance can optimize energy consumption, reduce unexpected costly repairs and provide peace of mind. 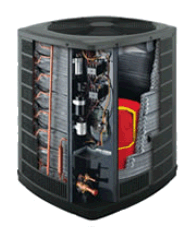 Proper maintenance is critical to your heating & cooling system. Did you know that most manufacture’s warranties require the annual preventative maintenance.And did you know that of all the appliances in your home, the only appliance that Consumer Reports recommends that you purchase an extended warranty for and the only appliance they recommend preventative maintenance for is your heating and cooling system.Call us today to learn more about Western Heating’s Precision Tune-up Program! Our customers often ask about how to ensure maximum efficiency while achieving optimum comfort. ENERGY STAR® qualified products with ratings of up to 96.7% AFUE – among the highest in the industry – the American Standard Freedom furnace addresses both needs. The Freedom Comfort 95 with a modulating gas valve, variable speed fan and Comfort-R™ provides just the right amount of warmth for superior versatility and cost-effectiveness, season after season.American Standard has been awarded a Consumers Digest. 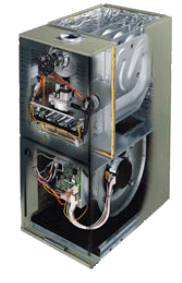 “Best Buy” designation for the Freedom80® furnace in its September/October 2003 issue.American Standard offers a full line of Allegiance® air conditioners, with efficiencies from 13 to 20 SEER – among the highest in the industry. The higher the rating, the greater the efficiency, and the more you can save on your energy bills. Our Allegiance® family gives you a wide range of comfort choices, from our single-stage up to our two-compressor, highest efficiency model with its two-stage cooling and humidity control feature. Notice the durable louvered panels that protect the outdoor coil and compressor. We use our special patented system to manufacturer the outdoor coil system called Spine Fin Coils. It performs so well that it comes with a 10-Year warranty, as do our compressors. Spine Fin coil is all aluminum (not copper which holds the efficiency over long periods of time, and has more leading edge for better efficiency than other plate fin coils. A good way to spot high efficiency.Western Heating has a long history of working with contractors and understands their concerns and expectations. Whether your project is residential or commercial, new construction or retrofit, Western can provide you with the information and bids to please your client.Western can work from your blue prints, do heat loss calculations, visit job sites to insure bid accuracy and even meet with your clients when appropriate.